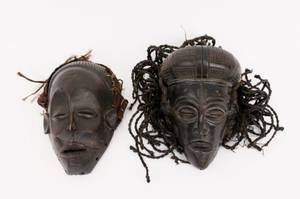 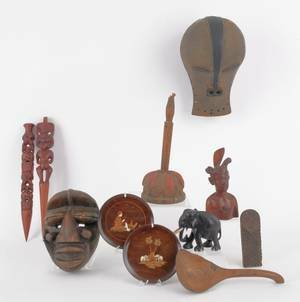 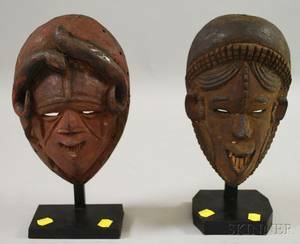 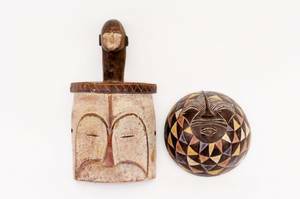 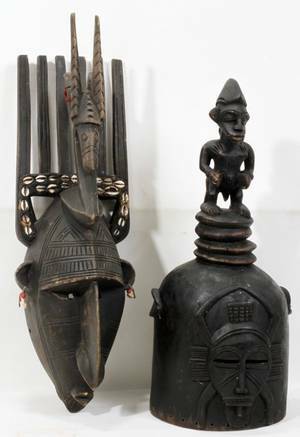 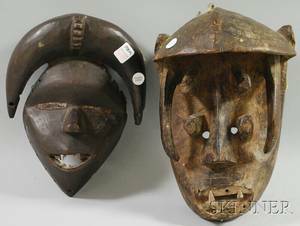 Two African masks, Chokwe people of Congo of Angola. 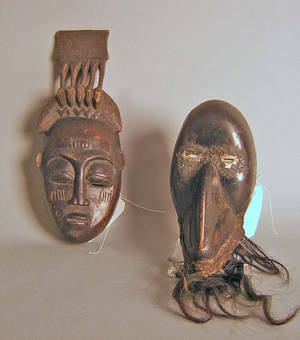 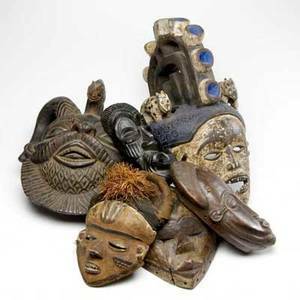 Each hand carved wooden mask with human facial form with slightly open mouth, almond form eyes, elongated thin noses, and facial scarification. 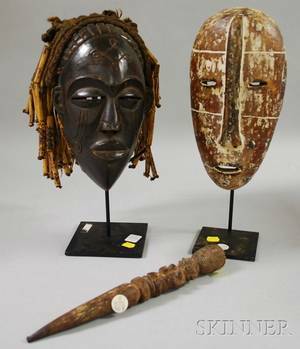 Each with hand spun raffia and hair accents. 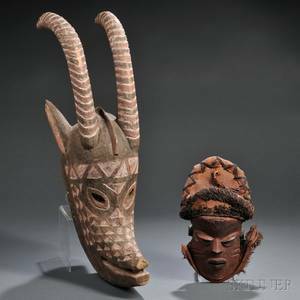 Mask with less scarification height 9.5", width 6.5", depth 4.125". 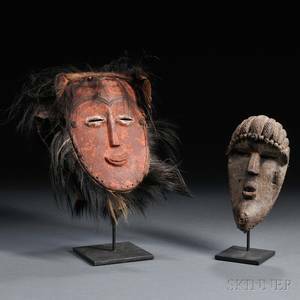 The other mask height 9.2", width 6", depth 7.25".